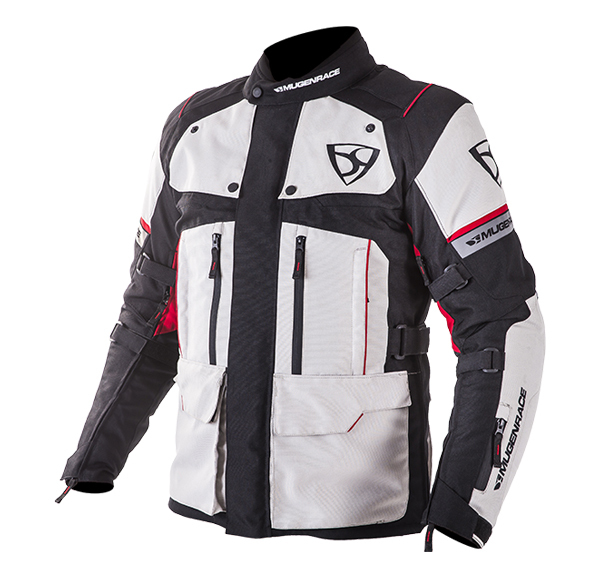 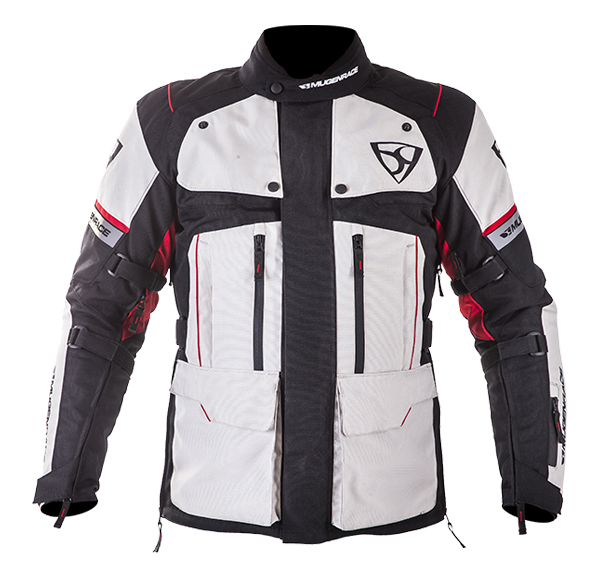 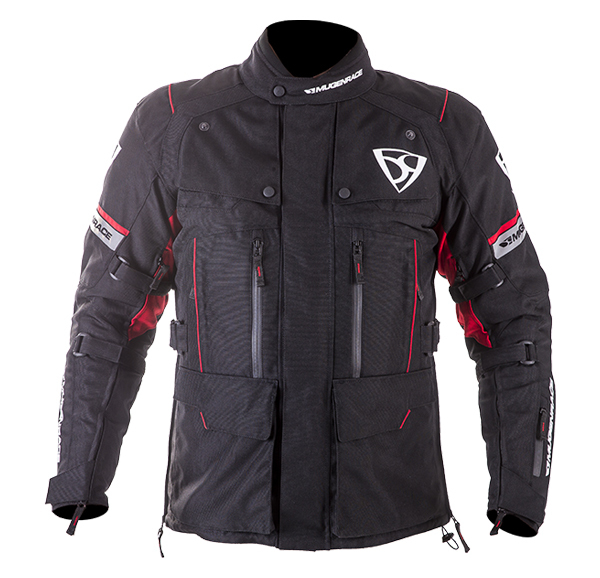 This triple layered jacket is especially made for touring. 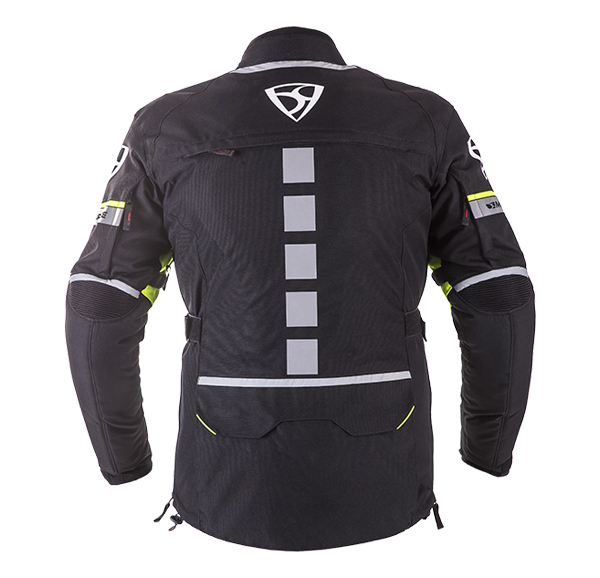 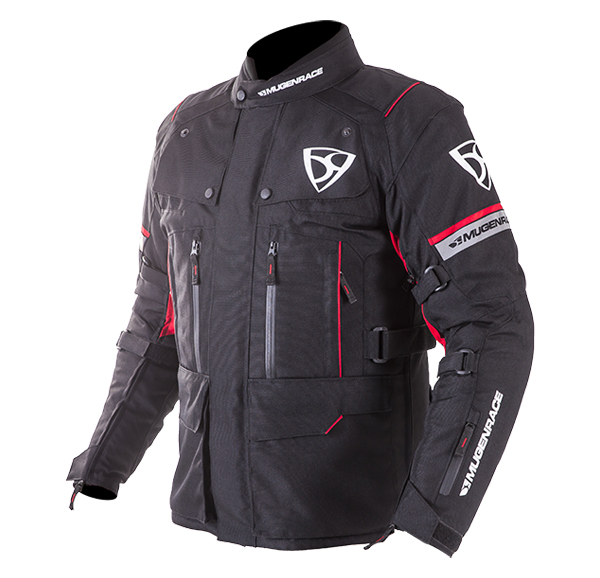 It has a removable thermo lining and membrane for wind and waterproofing with high level of breathability and offers excellent protection against the weather. 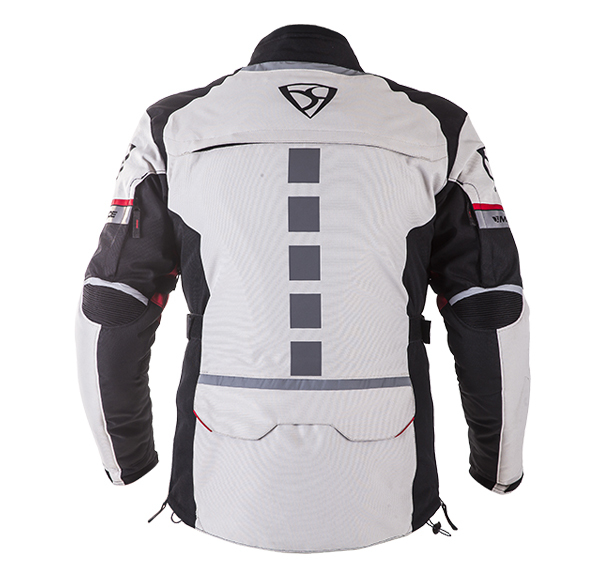 Around the waist and ont he sleeves can be shorten with velcro fasteners, and at the bottom of the jacket can be customize for the owner with rubber strap. 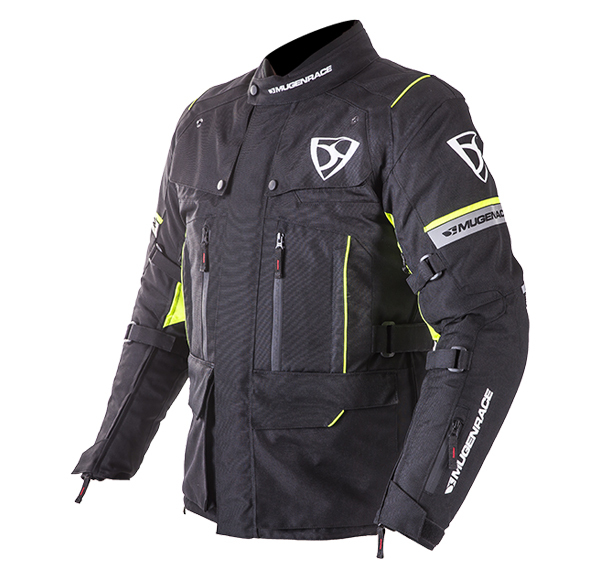 The velcro fastener ventilation system on the chest can fix with snaps. 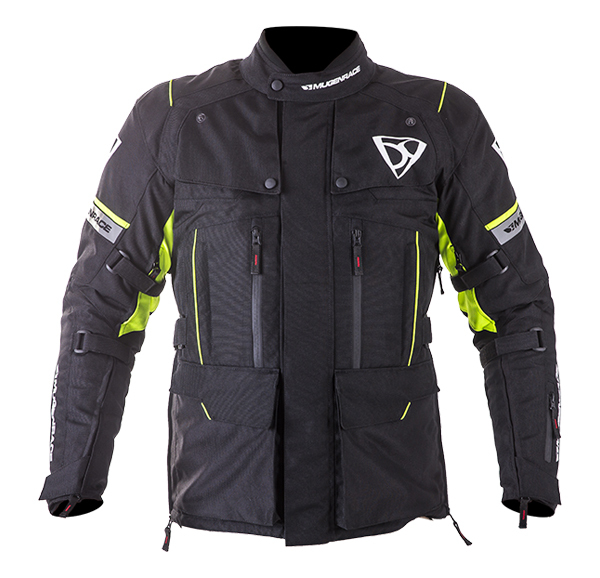 This jacket have more ventilation ont he upper area of the back and ont he sleeves. 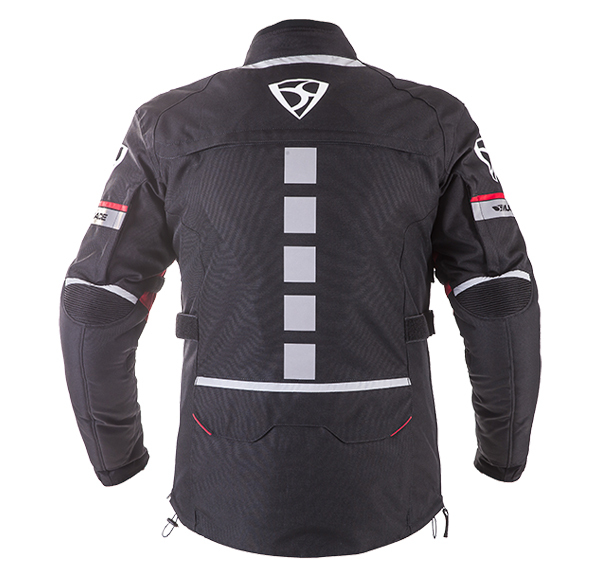 The reflective panels are great and there is a big reflective panel at the line of the spine.